Are you looking to improve the security of your home? 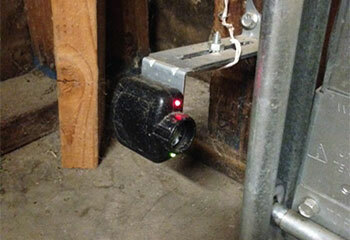 Our technicians will advise you on the special features a new garage door opener can offer you, so that you'll be able to make an informed decision. Take a look at a few of our latest projects to learn what else we can do for you. 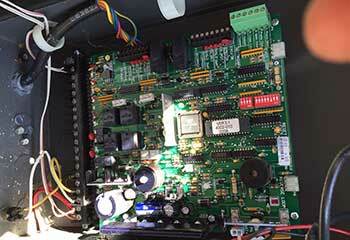 Customer Issue: The customer’s belt-drive garage door opener was making louder and louder noises with every use. 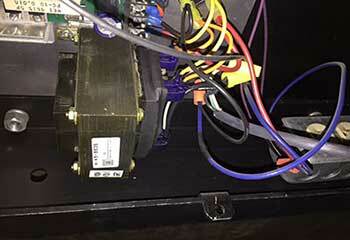 Our Solution: After listening to the sounds, our team unplugged and opened up the device to have a look at the motor. A wire had gotten caught in the mechanism, but fortunately wasn’t cut through yet. They patched the wire and bound it back in place, and the problem was solved. 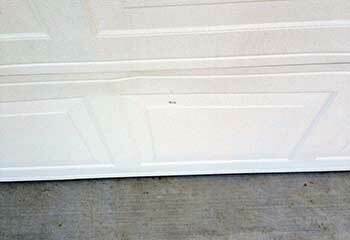 Customer Issue: Dented garage door panels. Our Solution: We found two damaged panels on the bottom part of the door, so we sourced new panels of the same size and color from the original manufacturer, and then and carefully removed the old sections and fitted the new ones into the precise location. Customer Issue: Couldn't open the door. Our Solution: Suspecting an electrical problem, we unplugged the opener from the power socket and removed the unit's outer cover. Using a multi-meter we found that the circuit board was damaged so we carefully replaced it with a new one that was compatible with the brand and model of the opener. Our Solution: We immediately noticed that the sensors' red light was flickering, indicating that there was a misalignment issue, so we carefully adjusted the units until they returned to their correct position. We then tested them to make sure that the door properly reversed when it needed to.